We all have those people that we have loved and lost over the years. Maybe you have fallen out, moved away or just lost contact with each other. I have someone who I was very close to throughout all of secondary school, who I lost contact with over the course of university. Every now and again I still think of them, maybe when I am doing something that was once a shared interest, and wonder what it would be like to see them again and talk about where we have ended up in life. Not meet in the ephemeral world of the internet and social media but meet in the cold light of day. What would I tell them and what would I edit to cast myself in the best light to them (and to myself)? Old Love, by Park Kiyong, follows Yoonhee and Jungsoo, a middle aged couple who dated 30 odd years ago and meet again by chance in the smoking area of Incheon Airport. Yoonhee is returning from Canada, where she now lives, to see her family and Jungsoo is dropping his daughter off to fly to Australia for school. They decide to meet up over the Lunar New Year holiday to catch up on what direction their lives have taken since they last saw each other. Over the course of the movie, the cracks in their facades start to show and reveal all the truths hiding behind the half truths they have been telling each other. The film builds the question of can you ever go back to a place, to a relationship or to a person and, even if you could, would you want to. Park Kiyong has a history of making films that look at the complex relationships between men and women and how we all sometimes want to escape the lives that we don’t always feel like we have chosen but that have been coerced into by the world around us. Motel Cactus and Camels, his first two films, both look at this theme and Old Love feels like him coming back to old stomping grounds but with a new perspective due to growing older and reflecting on his own life. Yoo Jungah and Kim Taehoon bring great sympathy to the two characters playing them as the real world flawed people that they are meant to be. At the Q and A after the screening, Park Kiyong mentioned that they did not have a script going into the filming of this. 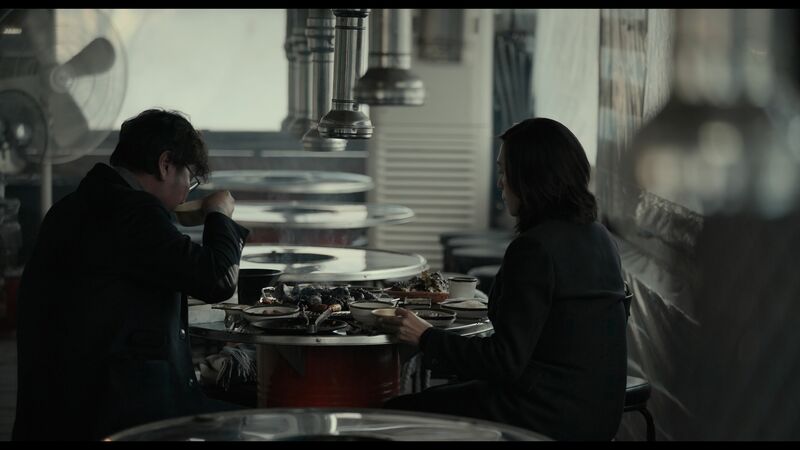 Instead they had the overarching storyline mapped out and he and the actors would meet in a cafe for an hour before filming each day and discuss what was being filmed that day and what was needed from each of the characters. This seems to work in the films favour, giving it a naturalistic tone that is matched by the cinematography. The lighting is subtle and natural to the different locations used in the film. There is very little soundtrack other than ambient sound which works well in a film that really feels like you are watching a documentary of someone’s everyday life. The period of filming was when the protests were going on in Korea against the then President who was facing calls to be impeached due to corruption charges. Though this was clearly not planned when the film was being planned, it fits in well with the feel of the film. There is a beautiful scene where Yoonhee is watching the protest and then standing amid the flow of people. There seems to be a great echo of the world turning around her and change happening while she is maybe trying to turn the clock back and go back to her past. It also truly shows the feeling that she then articulates later where she is both a guest in the country she now lives in and the country she was born in. If I am honest this was not my favourite of all the films I saw at the LKFF and I am unlikely to run out in a mad bid to watch it again. There is however a beautiful stillness to this film with some stunning shots of the couple when they go into the mountains to visit a town they visited when they were younger. It also paints an honest picture on how time changes everything and how we lose the dreams of our youth and can find ourself in places we never meant to be, unsure how to get out of there. Previous PostThe Christmas Chronicles – ReviewNext PostThe Lion King – Teaser Trailer!